We’re Going to the Zoo, Zoo Zoo, How about You, You, You? Over sukkot I spent my time enjoying Jerusalem, running errands, and being free before classes start! Part of this was meeting up with my friend Ayelet, who worked with me at Tamarack. It was so wonderful to reconnect with an old friend, speak in Hebrew, and just be with someone who knows me, understands me. We ate dinner together and then she wanted to show me one of her favorite plces in Jerusalem (She grew up here!). We got in her car, and headed off to Yemin Moshe, the first neighborhood built outside of the old city. The neighborhood is marked by a big windmill. We walked the streets of the quiet neighborhood, took in the views, the smells and the wonderful, peacefull feeling as we took in the old city, and an old friendship. This was the perfect end to a perfect day of peace in th e Old City. The next day, my friends Matt and Jen and I went to the Jerusalem Zoo/biblical Zoo. Now this was an experience. 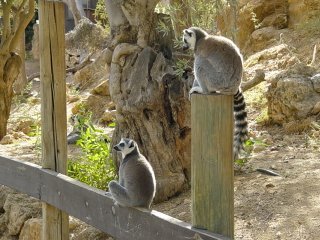 The animals were great, very active, and the people were interesting ot say the least! Because it is sukkot, the zoo was filled with families off from work and school, religious and secular, and everything in between. I spent the day hanging out with the lemurs, where you can actually go into their habitat, and have them come right up to you, AMAZING! 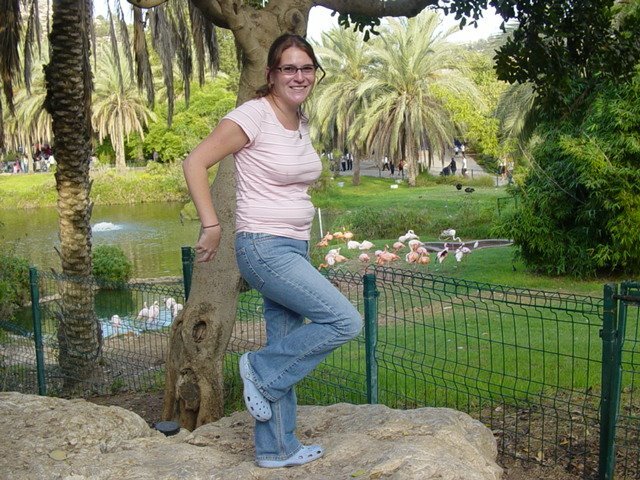 And that is the story of the zoo in Israel, and my israeli adventures. Now, I am about to enter into probably one of the most chaotic and busy shabbats of my life. This shabbat marks the end of Sukkot with Shemini Atzeret and Simchat Torah all in one day here in Israel because there is only one day of chag instead of two! For Shabbat morning, services will be packed with all the additions for Shabbat and also a chag, but I am looking forward to watching Israel combine the many elements of services, but also life into a beautiful blend and allowing that blend to to embrace me and me it. Shabbat Shalom, Chag Sameach, and LOVE TO ALL!! I MISS YOU! !